Cozumel beaches are not only some of the best beaches in Mexico but many are also ideal for swimming, snorkeling and scuba diving. In the early 1960's French underwater explorer Jacques Cousteau stated that the island of Cozumel was one of the most beautiful scuba diving areas in Mexico and the world! The beautiful clear water (depending on season) allows divers visibility of up to and amazing 200 feet! If you have been considering snorkeling or scuba diving as part of your Mexico beach vacation , Cozumel is a must! 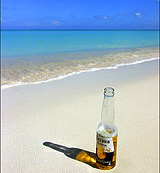 Cozumel beaches and shores offer variety allowing for different beach activities. If you have children, you will enjoy swimming at some of the beach clubs that offer children activities. 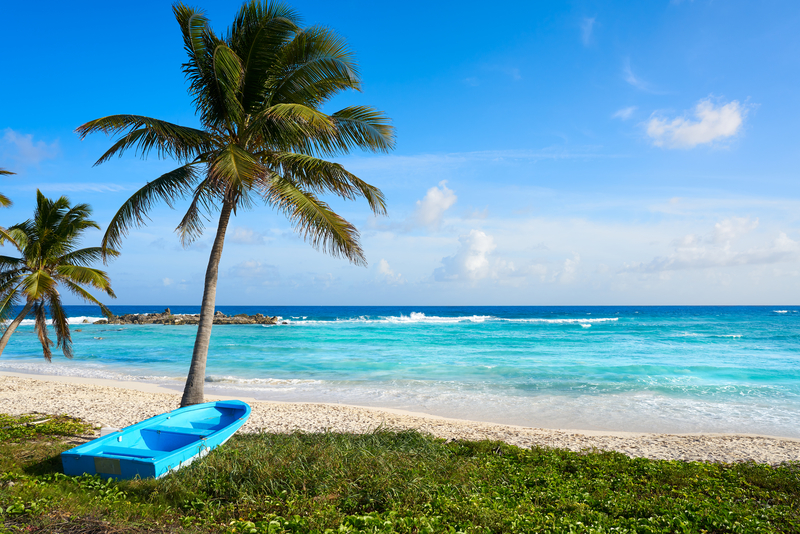 Cozumel beaches offer fine white sand to relax on and soak up the sun. Other beaches on Cozumel are rocky and made up of limestone. These rocky areas are the best for snorkeling or scuba diving. 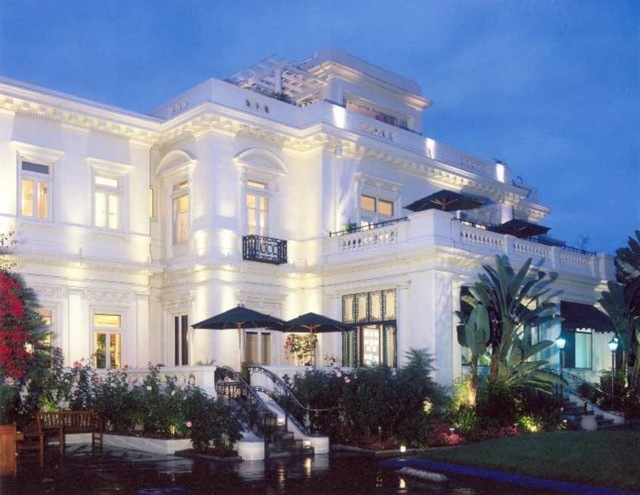 The third type are the man made beaches where hotels have built the beaches to accommodate their guests. Here are some of the best Cozumel waterfront hotels with spa for you to enjoy the ultimate Cozumel beach vacation! The Cozumel beaches located on the leeward side or west side of Cozumel are sheltered from storms and are the best for swimming. They are also the busiest since they are also closest to town. You will also find "beach clubs". These beach clubs may charge a small entrance fee to beach areas. They offer shade areas, lounge chairs, restaurant, drinks etc.. Isn't that what you love to do at the beach anyways? Enjoy!! Here are the reviews for the best restaurants on Cozumel. We will start with some of the best and most popular Cozumel beaches on the west or leeward side. Always use caution on any ocean beaches. 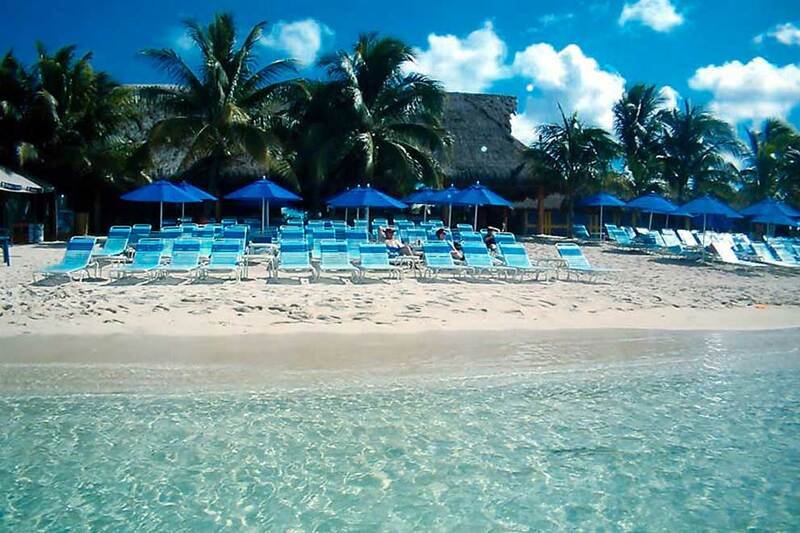 Isla Pasion or Passion Island is a beautiful privately owned little island in Cozumel, Mexico. Swimming is safe in designated areas. 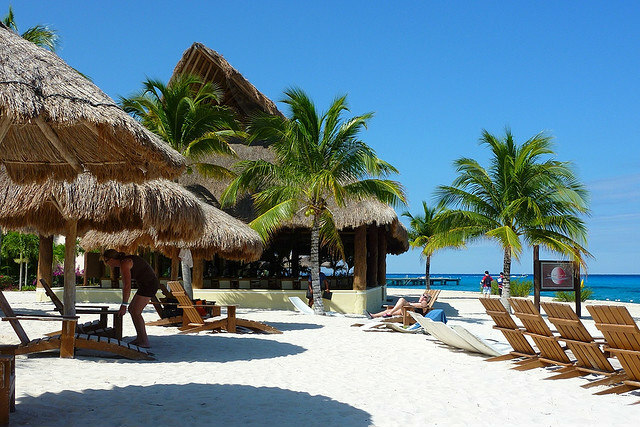 The beach on Passion Island itself is often reviewed as the best beach in Cozumel. It is also rated as one of the best attractions for its fun activities or just a relaxing day at its white sandy beach! Isla de Pasion or Passion Island in Cozumel offers all inclusive day trips that make it one of the 10 best things to do on Cozumel by Trip Advisor. Chankanaab Park and its beach is a great place to spend the day. 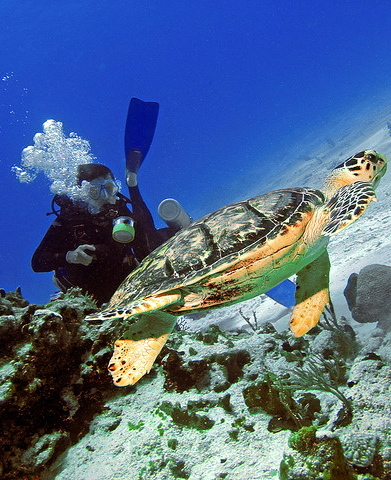 This natural reserve in Cozumel is one of the most popular for scuba diving or snorkeling on the island! Full of fish and limestone caves, Chankanaab Park is sure to be a very memorable part of your Cozumel beach vacation. Fun for the whole family, dolphins included! View our full page about Chankanaab Park here ! One of the closest sandy beaches just a 15 minute ride south of the cruise ship terminal lies Playa San Francisco or San Francisco Beach. It is a 5Km. (3 Miles) long beach made of terrific white and gold sand. You will find lots of water activities such as parasailing, jet ski rentals, banana boat rides and more! Two beach clubs are ready to make your beach day a pleasure. 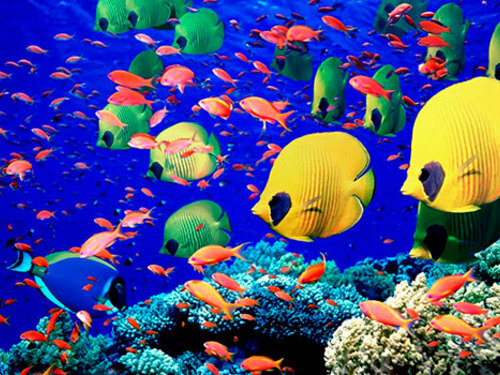 Scuba divers love San Francisco Beach as their launching point for the San Francisco Reef as well as the Santa Rosa Wall. This beach is one of the best for swimming. Visit our full page about this beautiful beach and all it has to offer here! Offering a large swimming pool and lots of water toys, Paradise Beach is sure to be a real treat for the kids and also for grown ups. Featuring parasailing, jet skiing, snorkeling and more! Food and drinks are served on the beach so you need not worry about going anywhere. Admission to the beach area of Paradise Beach is free. Lounge chairs are a minimal fee and you can get a "Fun Pass" to enjoy snorkeling and all the water toys available with that pass. You will find peace and serenity on Playa Palancar or Palancar Beach . Palm trees and a gentle sea breeze accompanied with beautiful sand. If you are looking to have a calm relaxing day on this may be the beach for you. 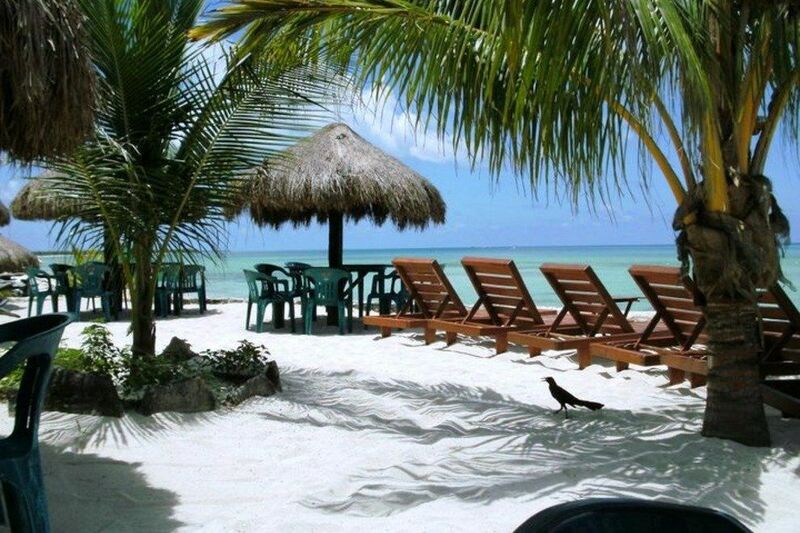 Cozumel beaches on the windward or eastern side are more secluded and offer peace and serenity. If you love to go for a nice drive why not rent a Jeep or scooter! These Cozumel beaches offer sunbathing at its best. If you are looking for beach thrills, activities and people watching, it is best to stay on the leeward side or West side of Cozumel. The beaches on the East side of Cozumel are great for relaxing, romantic beach strolls and sunbathing. Bring a good book and get away from the crowds on this side of Cozumel! Don't forget the suntan oil! This is a pretty good beach if you like to surf. Cozumel is not known for outstanding surfing but this is as good as it gets! There is a small cove where it is quite safe to swim if you are looking for an ocean dip. The beach club at Punta Morena offers food, a wading pool for the kids and change rooms. Your hosts on Playa Oriente are Mezcalito's Bar & Grill. This is the most popular beach club on the East side of Cozumel. Established in 1979 and still going strong. They offer hammocks for you to relax on. One of Cozumel's original beach clubs, it was established in 1979 and still going strong. If you are looking for a quieter day at the beach this may be a good suggestion. No public restrooms at this Cozumel beach. Playa Chen Rio or Chen Rio Beach offers lush vegetation providing shade and the small restaurant there apparently serves fresh seafood and Ceviche. A protected cove offers a fairly safe area for swimming. Chen Rio Beach is most likely the safest beach on the East side or windward side to swim at but, as always, use extreme caution. Stay well away from the opening leading out to sea. East side beaches can also be more dangerous with waves and undercurrents that can take you out to sea. For swimming, the safest Cozumel beaches are on the West side of Cozumel. Always exercise caution in the ocean. 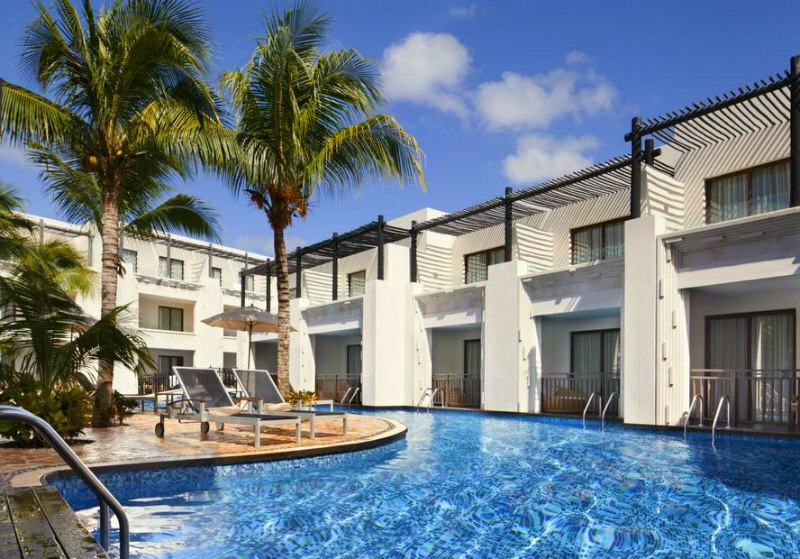 Visit our Best Waterfront Cozumel Hotels with Spa here! Top photo: Flickr photo by John P.C. Thank you to all for your contribution!